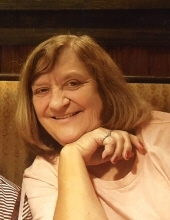 Janet Marie (Brooks) Smith, 67, wife of William B. Smith, Jr. of 597 Hilltop Drive, passed away Thursday, November 1, 2018 in the Shenandoah Hospice House, in Fishersville. Mrs. Smith was born on January 14, 1951 in Raphine, a daughter of the late Elwood Clinton and Annie Ozella (Bradley) Brooks. Janet was self-employed as a hairdresser and had a shop in her home where she was “more than a hairdresser, she was a friend.” She was very family oriented, a proud grandmother of her three granddaughters, and she had a heart of gold. Mrs. Smith enjoyed going to yard sales, doing outdoor yard work, and sewing. In addition to her parents she was preceded in death by a sister, Mary Sue Chaplin and her step-father, John Henry “Jack” Johnson. Surviving in addition to her husband of 45 years, are three daughters, Beverley Smith of North Carolina, Kimberley Loyd and her husband Frank, of Mount Solon, and Valerie Smith of Bridgewater; three granddaughters, Brianna Loyd, Makayla Loyd, and Savanna Loyd; three sisters, Anna Bell Miller of Mount Solon, Dorothy Durham of Raphine, and Lisa Noble of Staunton. A Memorial service will be conducted 7:00 p.m. Monday, November 5, 2018 in the Coffman Funeral Home Chapel by Rev. William “Bill” Trice. It is suggested those desiring make memorial contribution to Augusta Health Foundation Hospice of the Shenandoah, Post Office Box 1000 Fishersville, Virginia 22939. To send flowers or a remembrance gift to the family of Janet Marie Smith, please visit our Tribute Store. "Email Address" would like to share the life celebration of Janet Marie Smith. Click on the "link" to go to share a favorite memory or leave a condolence message for the family.